Music lovers in the United States, get ready to enjoy plenty of wholesome Nepali music! Our homegrown talent, Kutumba will soon be headed your way to fascinate you with their unique sounds! Known for their genuine traditional Nepali folk music all over the world, Kutumba are going to be the first Nepali instrumental band to perform in the World Music Festival, which has been celebrated annually in the America’s mid-west for over a decade. To be held between mid-September and mid-October, the event sees musicians from all over the world come together to perform in different cities around the mid-west. And Nepali music had never made it to the festival until now. The musical ensemble are set to hit the stage at the festival in Madison, Wisconsin on 16th September. As a part of the World Music Festival, Kutumba, who are scheduled to fly to the US on 12th September, will also be performing in Chicago, Illinois, in addition to Madison (Wisconsin). After the festival, the band will tour New York, Ithaca, Elkhart, Washington, Blacksburg (Virginia) and Indianapolis. The proceeds from the concerts will go towards supporting Jyotidaya Cooperative School in Chapagaun. Kutumba’s US expedition is being organized by Sarvodaya U.S.A. It is a non-profit organization based in Madison, WI, that promotes sustainable social change based on local culture and values. When the band members of Kutumba picked up the Nepali instruments –Sarangi, Dhime, and Murali, they were essentially pulling these instruments outside their cultural, religious, and ethnic boundaries and beginning to celebrate Nepali Music. 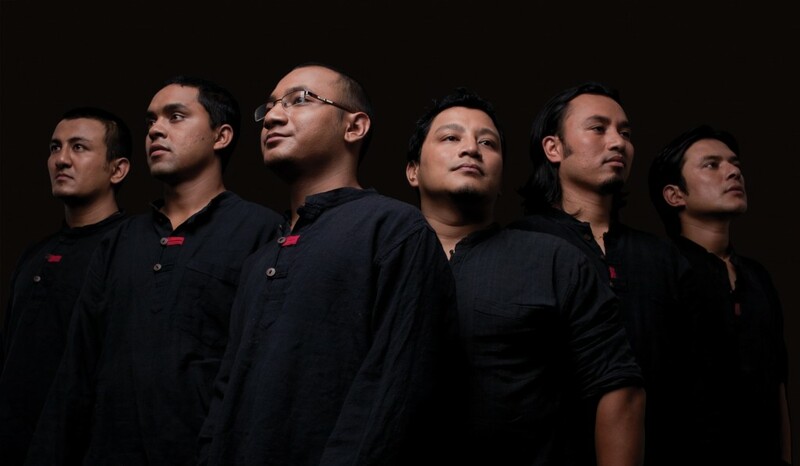 Kutumba are currently made up of Arun Manandhar on Tungna & Arbajo, Kiran Nepali on Sarangi, Pavit Maharjan on Percussion, Raju Maharjan on Percussion, Rubin Kumar Shrestha on Flute, and Siddhartha Maharjan on Effects. For more details, log on to: kutumba.sarvodayausa.org.